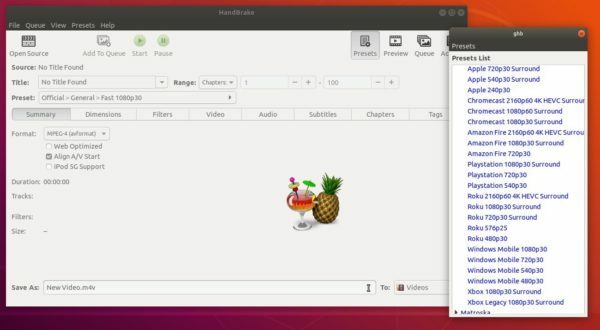 HandBrake video transcoder announced the 1.2.0 release last night with great new features and many bug-fixes. HandBrake 1.2.0 switched core decoding library from Libav to FFmpeg, added new official presets for Amazon Fire and Google Chromecast devices, added initial support for GTK 4. Updated libraries, and numerous other changes. Type user password (no asterisks feedback) when it asks for sudo command and hit Enter to add PPA. Remove handbrake-cli from the code if you don’t need the command line version.